With all my heart I praise Thee, Most Holy Virgin above all angels and saints in Paradise, beloved Mother of the Son of God, I consecrate to Thee my body with all its senses. With all my heart I praise Thee, Most Holy Virgin above all angels and saints in Paradise, beloved Spouse of the Holy Ghost I consecrate to Thee my heart with all its affections, and beseech Thee to obtain for me from the Most Holy Trinity all the graces necessary for salvation. O QUEEN OF HEAVEN and earth, Most Holy Virgin, we venerate thee. Thou art the beloved Daughter of the incarnate World, the Immaculate Spouse of the Holy Spirit, the Sacred Vessel of the Most Holy Trinity. O LADY OF GOOD REMEDY, source of unfailing help, grant that that they may draw from thy treasury of graces in our time of need. Touch the hearts of sinners, that they may seek reconciliation and forgiveness. Bring comfort to the afflicted and the lonely; help the suffering. May they be healed in body and strengthened in spirit to endure their sufferings with patient resignation and Christian fortitude. (here indicate your special intentions). Pray for us, O Holy Mother of Good Remedy, That we may deepen our dedication to thy Son, and make the world alive with His Spirit. Pray for us, most holy mother of God. 1) Here state your first intention. 2) Repeat all of above and then state your second intention. 3) Repeat all of above and then state your third intention. 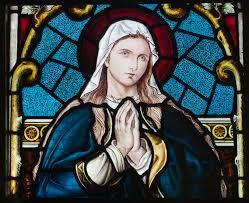 Conclusion: After the above prayers and intentions , say the Memorare. but in thy mercy hear and answer me St. Mary.